The human body has always been the foundation and source of my sculptures. Even though, in most cases, my work is abstract, my aim is that the viewer will always feel a connection to it, a communication of feelings, emotions and spirituality. This is just one, but important, aspect of my work. 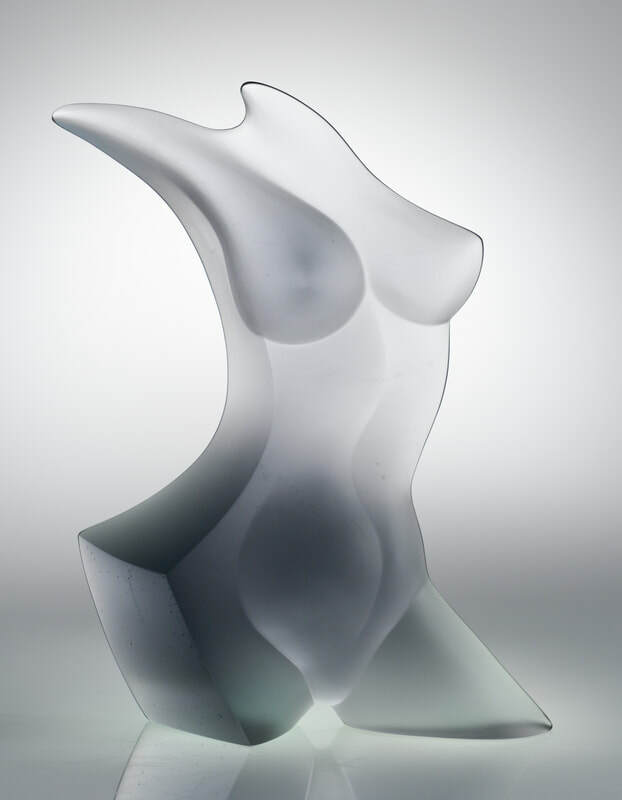 In the past year my work has taken a new direction, concentrating on the female torso. 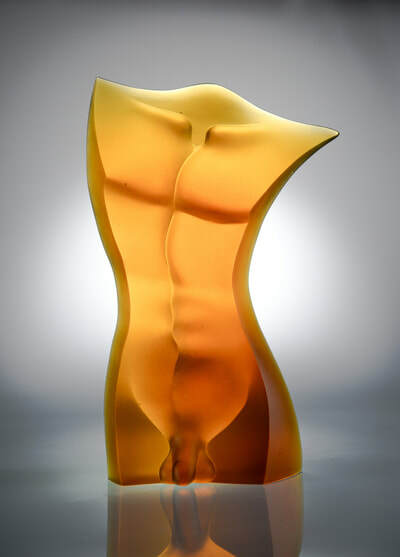 For artists, “torsos” have been a main focus since the beginning of human civilization. I wanted to find new and more contemporary ways of showing the beauty and sensuality of a woman’s body, a way to express emotion and vitality. 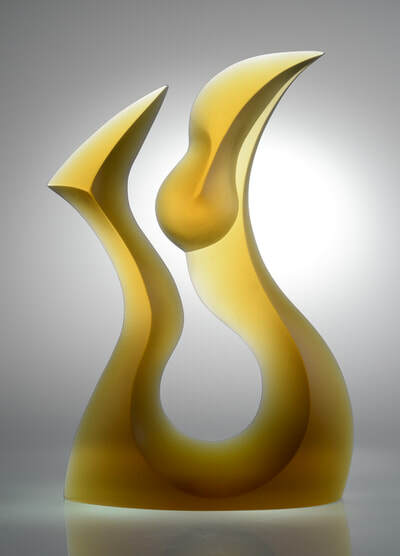 I want the sculptures to be alive and dynamic, to evoke feelings and engage the viewer. Using just a few gentle, soft lines and shapes, I want to create a lasting image. Music was my first attraction to art--my first love. I wanted to become a musician. I played piano for seven years, and then I played the oboe. I grew up in Bulgaria, in the communist bloc, but since my parents refused to become members of the former communist party, I was not able to attend the Music School. But music is still a major influence on my work. 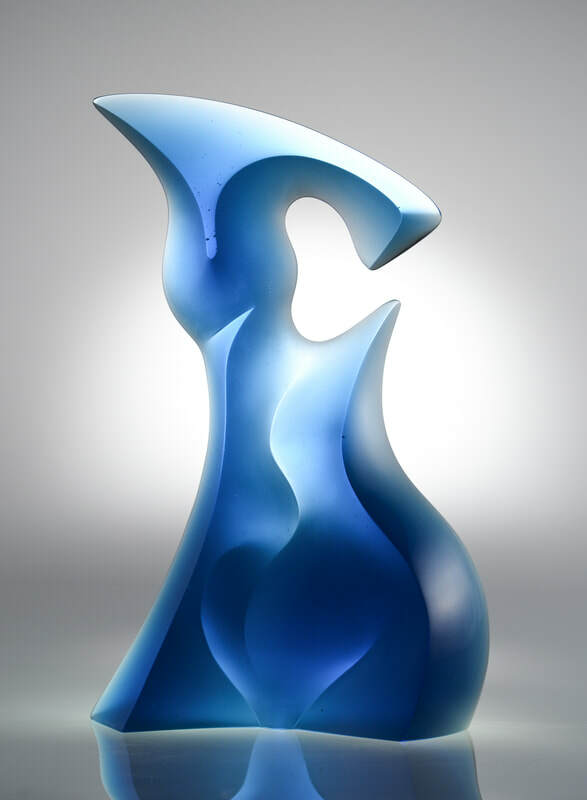 I hope you can feel and even hear the music flowing from my sculptures. My destiny changed; when I began to draw in preparation for the entrance exam of the Academy of Art in Sofia, Bulgaria, I was accepted and attended my first year at the Ceramic Studio. 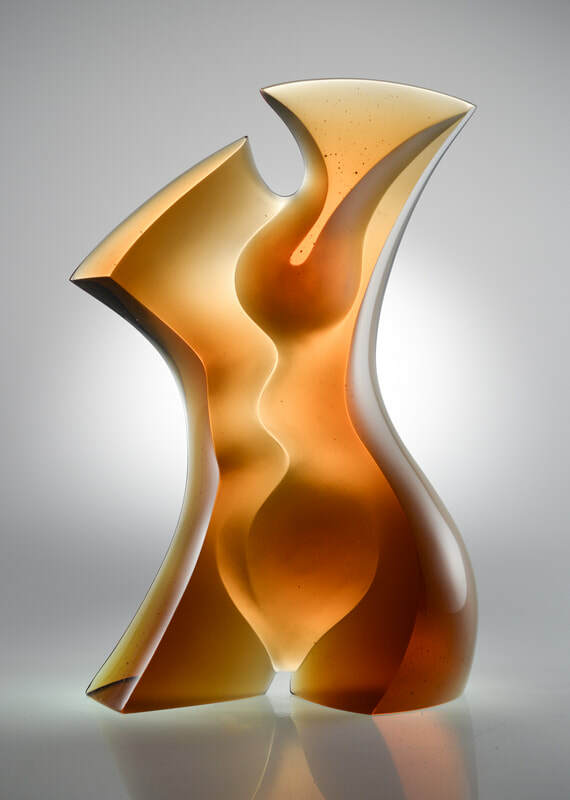 After the year was over, I transferred to the Academy of Applied Arts in Prague, Czechoslovakia, where I studied with renowned artist, Professor Stanislav Libensky, who played a major role in the direction my career would take as an artist working in glass. However, it took a long time for me to break away and find my own unique style of expression, using the same cast glass technique he used. Upon graduation from the Academy, I was forced by the Bulgarian Communist Government to come back and work for three years as a designer in a glass factory in a remote area. At that time I was married in Prague and my plans differed from those of the institutions. I wanted to be free and become an independent artist. My only option was to escape to the West. After lots of difficulties and in secret, we were able to escape to Italy, where we asked for political asylum. We were transferred to an overcrowded refugee camp in Latina, Italy. I wanted to come to the USA, and after an interview at the American Embassy and three months wait, we were granted political asylum, arriving in this country in September 1986. Three weeks after arriving I found a job at the Maslach Art Glass Studio. A year later the owner of the studio, Steven Maslach, allowed me to use his studio and work after hours on my own art work. I worked there for three years and started my own studio in Oakland, California in 1988. Then I moved to San Rafael in 1995. My work has changed during the last 20 years. The first 10 years I was creating cold-worked sculptures made with optical glass and color filters. They were constructed abstract pieces. In 1997 I went back to the Czech Republic and started casting my work there. I did this for 14 years. I want my work to be monumental in size as well as in design. I want it to become a part of modern architecture and the contemporary environment, to reflect the era in which we live.